Colby received his Master’s degree in Physical Therapy at the University of Toronto, learning the newest clinical techniques from the best clinical practitioners. 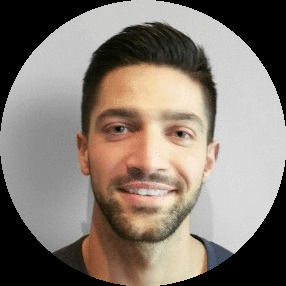 His passion for physiotherapy comes from a lifestyle of sports and fitness and a desire to help people eliminate pain. Working alongside some of Toronto’s leading chiropractors and massage therapists gives him an insight into multiple spectrums of patient care which stands him apart from many other Physiotherapists. He is a versatile, realistic, and well rounded healthcare professional. Colby is certified in vestibular rehabilitation allowing him to accurately diagnose and successfully treat patients dealing with dizziness and vertigo. He is also equipped with certifications in acupuncture and BoneFit osteoporosis management through Osteoporosis Canada. In 2017 Colby and Dr. Chris created the JustStretch program which was brought to MassageEnvy and implemented into their 1,200 clinics across the United States. Click here to learn more about this program. Colby firmly believes patient care is not a one-way street, on day one you become a team working together and supporting one another. He places a very high value on the patient’s opinions and suggestions to work together to understand expectations and achieve the outcomes you both desire. His belief in a whole system treatment approach, consisting of manual therapy, modalities, lifestyle advice, and exercise prescription ensures that those coming through his door are leaving with the assurance and motivation needed to achieve their personal goals. Colby is excited to work with you in hopes to treat, prevent, and maintain a healthy pain free life.